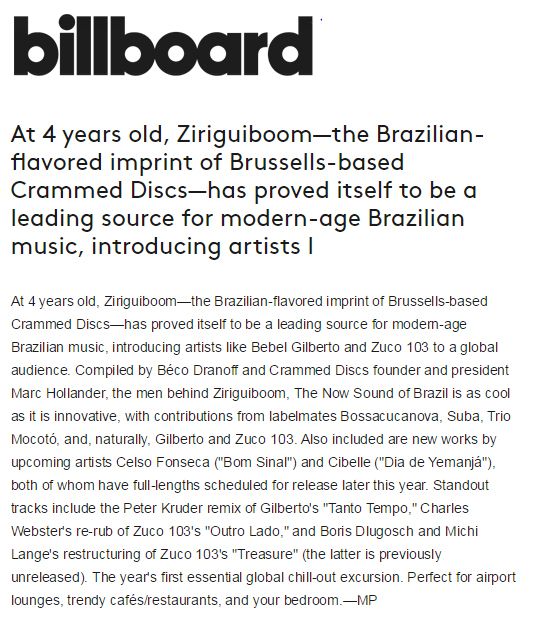 “Travel + Escape Magazine caught up with Brazilian music expert Béco Dranoff at New York City's Clocktower Gallery, where he records his monthly Brazilian music-themed online radio show, Sonoridade.” – June, 2013. 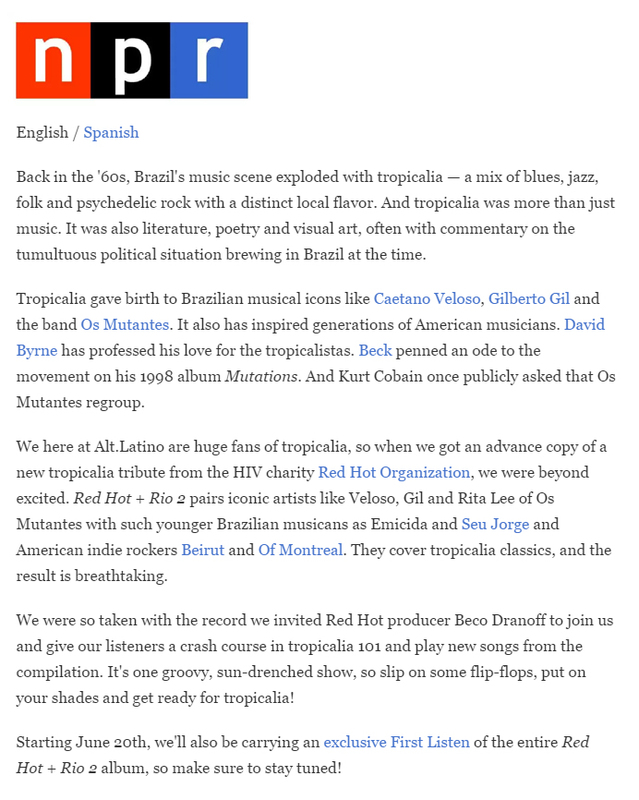 In the '60s, the Brazilian music scene exploded with a brand new movement called tropicalia. 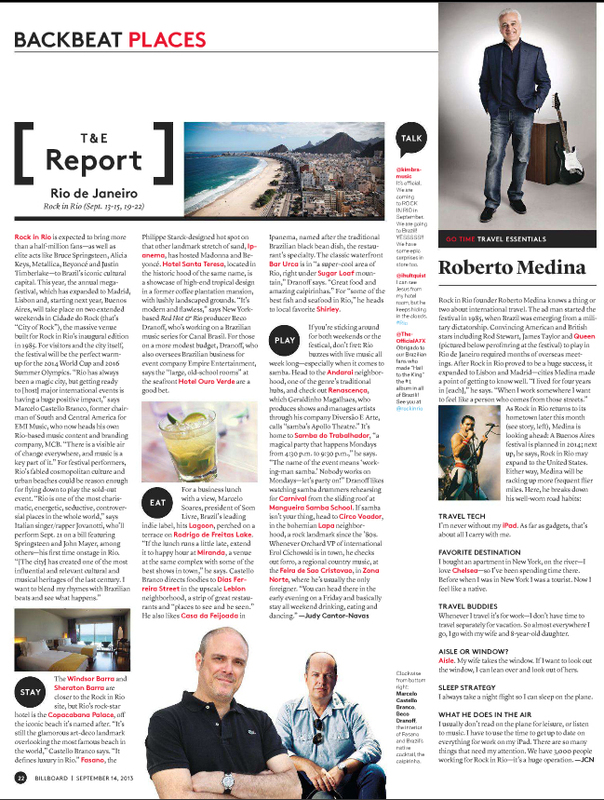 Later this month the Red Hot Organization will release Red Hot + Rio 2, a collection of those songs re-envisioned. 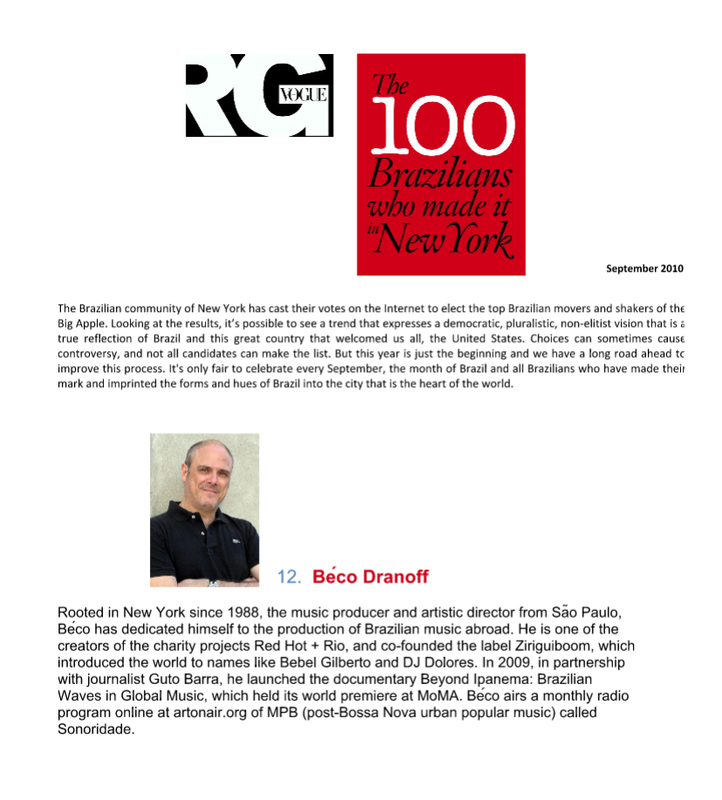 Red Hot producer Beco Dranoff joins us for a primer on the genre.